From the ‘X Files’ Dept: Will the Upcoming March 19th “Supermoon” Cause Another 8+ magnitude Earthquake and Tsunami? Japan's massive 8.9-magnitude earthquake and deadly tsunami in Japan generated world-wide viral headlines about the destructive environmental power of the upcoming "supermoon." The term "supermoon" originated on the website of astrologer Richard Nolle who reported that a new or full moon at 90% or more of its closest perigee (the point in the orbit nearest to the center of the earth) qualifies as a "supermoon," making the March 19 full moon a supermoon, because the crest of the moon’s full phase comes within an hour of the moon’s closest point to Earth. According to Dr. James Garvin, chief scientist at NASA's Goddard Space Flight Center, a 'Supermoon' is a situation when the moon is slightly closer to Earth in its orbit than on average, and this effect is most noticeable when it occurs at the same time as a full moon. So, the moon may seem bigger although the difference in its distance from Earth is only a few percent at such times. It is called a supermoon because this is a very noticeable alignment that at first glance would seem to have an effect. The 'super' in supermoon is really just the appearance of being closer, but unless we were measuring the Earth-Moon distance by laser rangefinders (as we do to track the LRO [Lunar Reconnaissance Orbiter] spacecraft in low lunar orbit and to watch the Earth-Moon distance over years), there is really no difference. The supermoon really attests to the wonderful new wealth of data NASA's LRO mission has returned for the Moon, making several key science questions about our nearest neighbor all the more important. The effects on Earth from a supermoon are minor, and according to the most detailed studies by terrestrial seismologists and volcanologists, the combination of the moon being at its closest to Earth in its orbit, and being in its 'full moon' configuration (relative to the Earth and sun), should not affect the internal energy balance of the Earth since there are lunar tides every day. The Earth has stored a tremendous amount of internal energy within its thin outer shell or crust, and the small differences in the tidal forces exerted by the moon (and sun) are not enough to fundamentally overcome the much larger forces within the planet due to convection (and other aspects of the internal energy balance that drives plate tectonics). Nonetheless, these supermoon times remind us of the effect of our 'Africa-sized' nearest neighbor on our lives, affecting ocean tides and contributing to many cultural aspects of our lives (as a visible aspect of how our planet is part of the solar system and space). But contrary to the widespread speculation, Japanese March 11 earthquake is not an example of a supermoon causing deadly environmental effects. The March 11 moon is exactly the opposite, since the moon is not particularly close to Earth, nor is it full or new moon (aligned with the sun and Earth). The moon on March 11 is close to first quarter–at a right angle to the Earth/sun line. Thus–according to the supermoon-earthquake connection theory–the moon’s effect on earthly water and solid rock tides should be at its least. 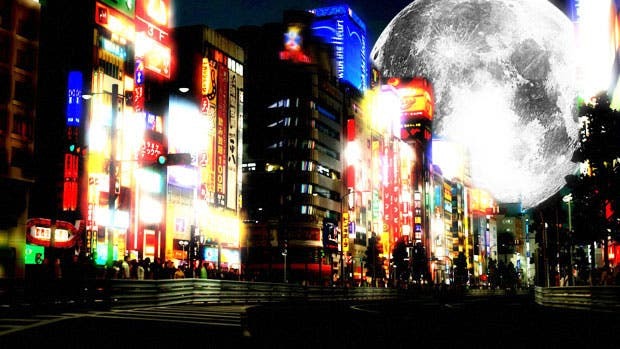 The Japan-quake supermoon rumors are based on the equally false rumor that a supermoon caused the December 26, 2004 tsunami in Indonesia that caused the deaths of more than 200,000 people -the worst tsunami in recorded history. There was a full moon that day, but it was at its farthest from Earth. The moon was closest two weeks later on January 10, 2005. Some astrologers and even astronomers are using the term "supermoon" to describe the March 19, 2011 full moon, but the March 19 full moon will be 221,567 miles from Earth, in contrast to the moon’s average distance of about 239,000 miles. The March 11, 2011 earthquake and tsunami in Japan occurred when the moon was near first quarter, and not particularly close to Earth. There are references, however, in the scientific literature of a possible connection between full moons and seismic activity. Because the moon causes tides in the solid core of the Earth, just as it causes ocean tides the assumption can be made that a close full moon might cause geologic activity to increase. But, again, it is pure speculation that a "supermoon" phase could cause tectonic plate shifts. You can test the theory during the March 19, 2011 full moon–which coincides with the moon’s closest point to Earth—and see iof it bring more earthquakes and tsunamis?